J’adore New Orleans. Especially with my daughters. When I tell people how much fun we have as a family, they look surprised. Kids? In the country’s biggest party town? Absolutely. 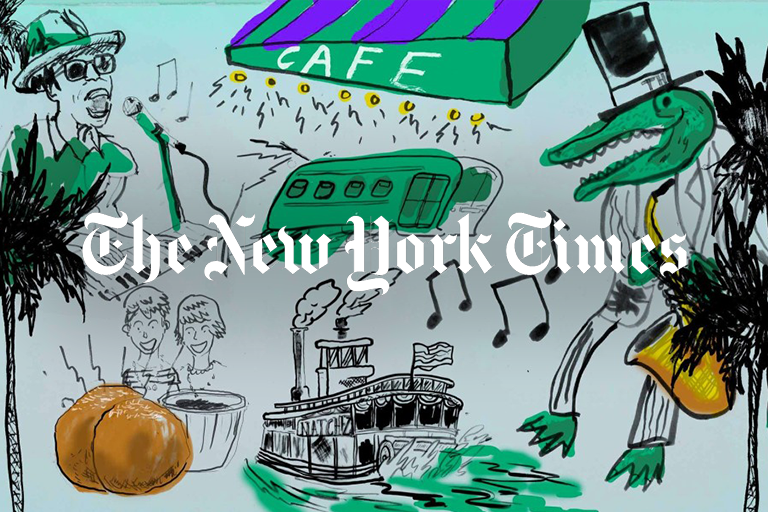 Here is the story I wrote about visiting New Orleans with kids for The New York Times. Sometimes rowdy parades, random eruptions of jazz and traffic jams involving cross dressing belles on the way to a Krewe ball is just what a family vacation calls for. It is this unapologetic sass, in fact, that makes kids fall head over heels in love with New Orleans. Once they eyeball rainbow colored houses and adults sporting what looks like Halloween apparel (even in non-Mardi Gras season) without anyone so much as offering a querulous double take, they understand that this is no slog -through -museums type of trip. In fact, no need to enter a museum at all. Though the city has many outstanding institutions, the best friction with Nola’s curious brew of culture happens right in the street. It’s promenading past the historic homes of the Garden District. Weaving through the career buskers in Jackson Park. Locating-and dancing to-a brass band performance on Frenchmen’s Street after dark. Each neighborhood has a flavor, and exploring the various pockets- gritty,glam and everything in between-is the main event.